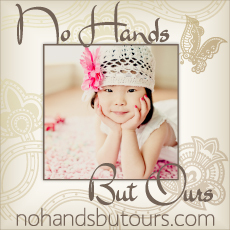 Our Adoption Journey(s): November Fundraising Event... New Information! Progress... sweet, sweet progress. I wish I were talking about our Immigration status but I'm pretty stoked about what's recently been accomplished for our November Orphan Awareness Fundraiser. First, a very special friend stepped up to take the lead and be chair-awesomeness over the event (or chair-lady, but I personally prefer "chair-awesomeness"). A special thank you to Renee Cresap for responding to God's lead on this. You are awesome, not just because of your dedication and faithfulness but because you are so stinking good at this!! Second event news to report... we have our live music lined up and although I can't reveal the name just yet, I'm excited to tell you that there will be amazing praise music on the village square that afternoon! Put "bring blanket" on your calendar reminder because you're gonna want to stay put and relax for this gig! I also had the opportunity to have lunch with an amazing lady named Barbara Kellar, who will be cooking our jambalaya for the event. 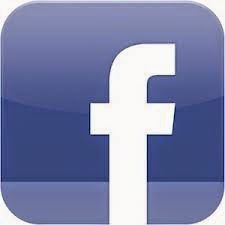 She has a Facebook page at BeBe's Kitchen Cooking for a Cause where you can read more about her ministry. She has a beautiful heart for Jesus and specifically for orphans around the world. We are honored to have her cook for us and feel so blessed to have this new relationship! We Go: Proclaiming the message of the Gospel to orphans worldwide to provide immediate and eternal hope for those who have never heard the good news. We Equip: Initiating planning and partnering strategies with orphanages, indigenous bodies of believers, government officials, businesses, schools, and homes, seeking to mentor orphans and equip them with job and life skills. We Disciple: Developing sustainable relational ministry models that mobilize the indigenous international church to care for the orphaned and impoverished with viable long-term solutions. We Facilitate: Facilitating short-term trips, multiple times a year, to expose churches, students, and business leaders to the plight of orphans, and to build relationships and trust within the international communities to begin affecting change and community transformation. (un)adopted will be available during the event to chat with folks about their ministry. They will give a presentation towards the end of the event to bring awareness about the global orphan crisis and share ways we can all help. We couldn't be more excited to have this ministry to partner with. (un)adopted is an organization that is dear to our hearts. They are gospel-centered in everything they do and provide hope for so many who wouldn't otherwise have it. 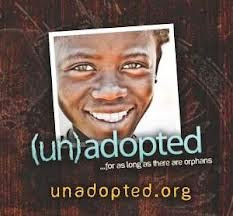 We can't wait to welcome (un)adopted and see God work through them at our event! A portion of the proceeds from our event will go to (un)adopted, to aid in their ministries abroad. We now have a rain plan in place! Thank you to our family at New Covenant Presbyterian Church for opening her doors for our event. If the weather is terrible, we still want everyone to plan for a great event in the fellowship hall of our church in Mandeville. Thank you to Bridge Church for donating their block party trailer for our event! Because of their generosity, we'll have a big bounce house, a popcorn machine, and tons of other equipment to help make this event a success. Last, but not least, we have several volunteers dedicated to specific tasks for the event. Lots of people have stepped up and we are forever grateful. If you are interested in helping, we still have slots open for set up (noon-3:00), clean up (6-8pm), and several tables at the event itself (3-4:30 shifts and 4:30-6:00 shifts). Feel free to email me or leave a comment here and let me know in which of these areas you would like to help. We would be oh-so-grateful if you'd like to be a part of this. We'd like to have all volunteers secured soon. If you believe you have an item or service that you may like to donate to the silent auction, please let me know. One friend had the fun idea to auction himself! He's still working out the details but it will look something like him being a slave to someone for a day. Ha! Now that's one good friend! Oh! Be sure to wear your Emily Hope t-shirts to the event (we may have to wear a long-sleeved something under it since it's in November). ;-) We'll give one free beverage to anyone wearing our t-shirt at the event! Between now and November 16th, I'll be posting updates and reminders about the event. We will have flyers available as the event draws nearer. If you have any questions at any point, feel free to shoot me an email or leave a comment. Be on the lookout soon for a page on my blog dedicated solely to the event. I'll update this page as details arise.